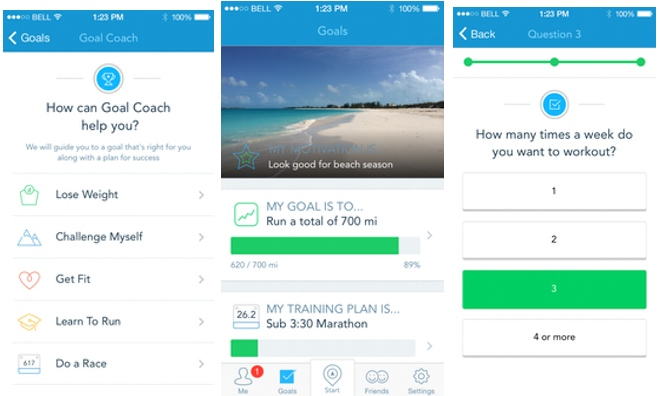 Popular iPhone fitness application RunKeeper saw a significant update on Thursday with the addition of "Goal Coach," a new free feature that allows users to set achievable but challenging goals as they train. 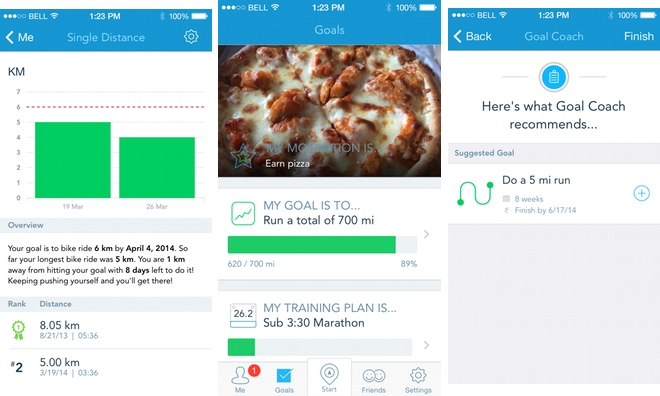 Thursday's launch of RunKeeper 4.5 features the new "Goals" tab where users can enter their motivation, whether it's a race, target weight or something else. The application then helps users to set the right goal and a training program the company says is "challenging, yet within reach." These goals are said to be created by RunKeeper "intelligently combining everything it knows about you and others like you." Recommendations are said to be tailored to fit both a users' needs and their lifestyle. Using RunKeeper and the new Goal Coach feature will allow users to log their workouts, track their progress, and stay motivated. Developer FitnessKeeper said its statistics show that RunKeeper users who complete their goals log 50 percent more miles and 30 percent more workouts per month than those who don't. While Goal Coach is free for all users, pairing it with a RunKeeper Elite subscription will provide weekly updates on progress, as well as more suggestions on how to adjust goals. It was also announced on Thursday that the RunKeeper Elite program will see a price hike starting on May 1, but only for new subscribers. Next month, a RunKeeper Elite subscription will cost $9.99 per month or $39.99 per year. Before then, users can lock in an Elite membership for $19.99 per year through an in-app purchase. RunKeeper's new Goal Coach feature comes a week after the company launched its second application: Breeze, a pedometer that utilizes the M7 coprocessor found in Apple's iPhone 5s. While RunKeeper tracks and helps users with exercise, Breeze is meant to track activity throughout the rest of the day, counting steps and offering encouragement for users to meet dynamic goals. In the future, the developer plans to integrate RunKeeper and Breeze more tightly with one another for a cohesive fitness tracking platform.